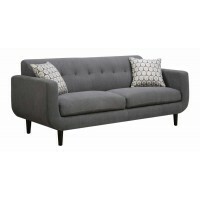 Our retro, mid century, modern style sofa, with love seat, features eight tuft details, pocket-coil seating, kiln-dried hardwood construction, and a soft linen-like fabric upholstery. 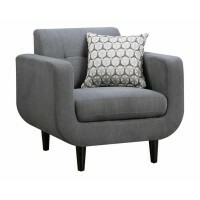 This piece also includes 2 decorative accent pillows! Cappuccino legs complete the look.